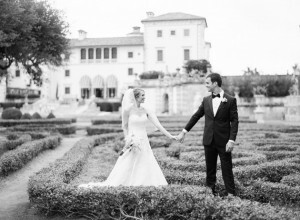 To set a classically romantic mood at your wedding, Vizcaya Museum & Gardens is perfect. 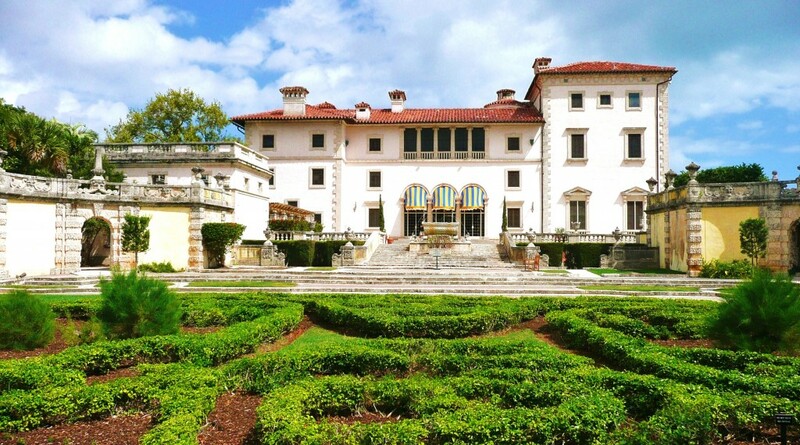 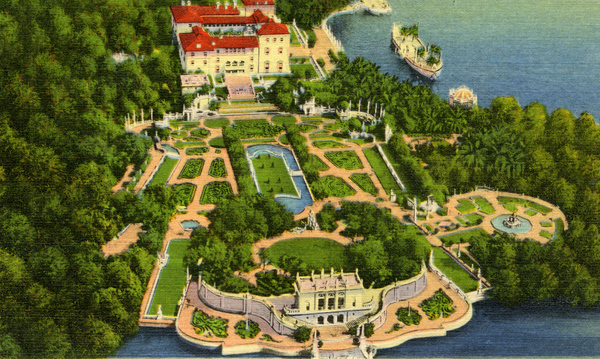 Not all Miami wedding venues can claim National Historic Landmark status, but Vizcaya can. 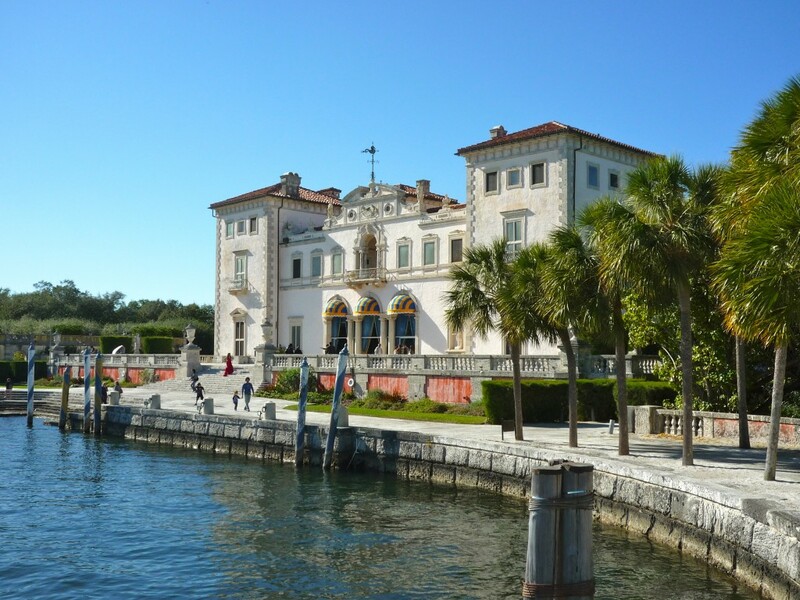 At this estate built in 1910 on Biscayne Bay, you will have access to sprawling, European-inspired gardens and the tranquility of a Mediterranean-style sanctuary. 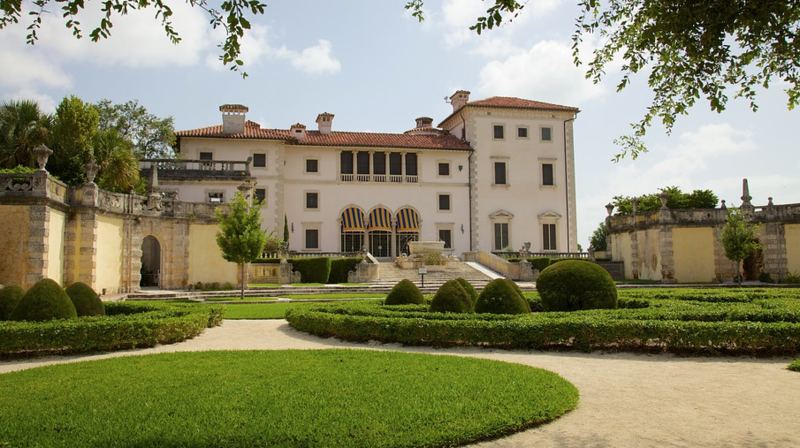 You’ll feel like you’re walking through time from ancient Rome to Renaissance Italy to the turn of the century with the plethora of statues, vases, and urns that decorate the gardens. 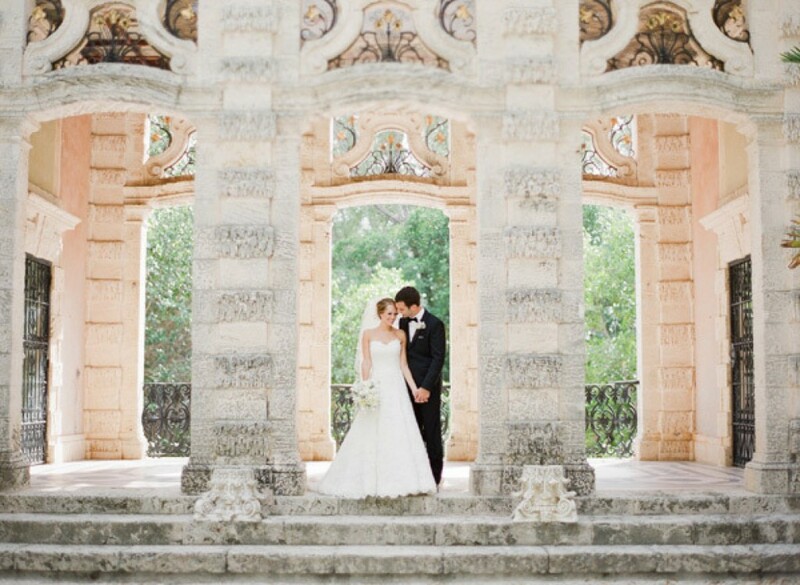 For a Miami wedding fit for royalty, the Club of Knights in Coral Gables is an ideal space. 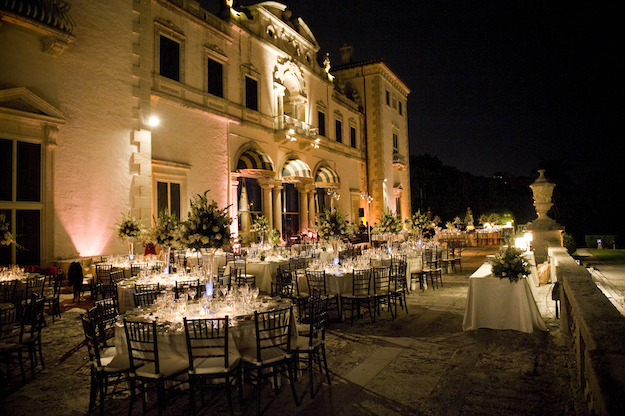 This venue has both an outdoor courtyard space for an intimate ceremony complete with twinkling lights to set the stage for a romance-filled evening. But the historic ballroom is what really sets this Miami wedding location apart with its high ceilings and beautiful mahogany flooring that create a feeling of luxury truly fit for a king and queen. 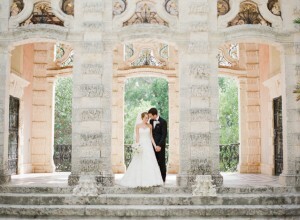 More old world elegance and majestic views set the scene for a peaceful ceremony at the Deering Estate for outdoor wedding ideas. 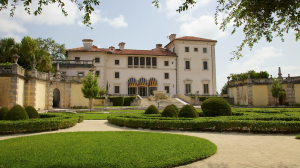 This estate incorporates South Florida’s natural beauty in its manicured lawns lined with royal palms overlooking the pristine Biscayne Bay. Enter through the wooden gates to the Grand Stone House or Richmond Cottage to be transported to another era. 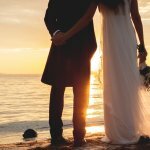 You’ll have your pick of memorable and elegant settings for both your ceremony and reception at this historic club in Miami Beach. From beachfront ceremonies to those inside the grand mansion, the 26,000 feet of event space allows for couples to make their special day truly their own. The palm tree-filled courtyard would make a perfect cocktail hour space while the cathedral-like ceilings of the Billiard Room would be wonderful for a reception. 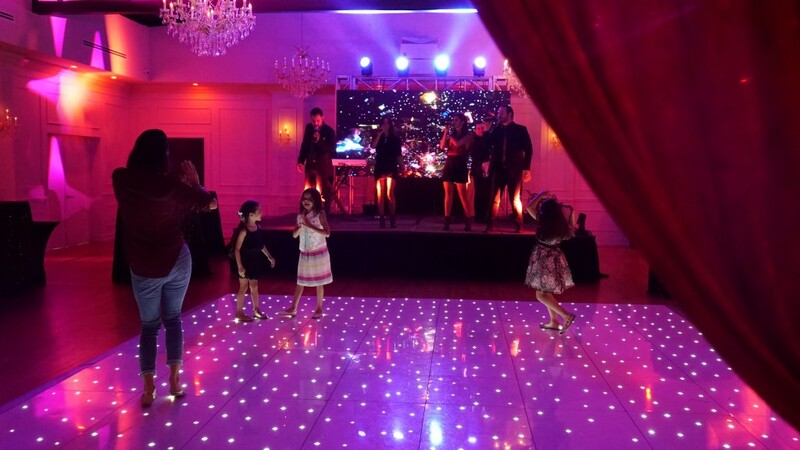 The crystal chandeliers in the Ballroom add romantic lighting, and the contemporary design of the Lounge makes it an ideal space for either dinner or dancing. 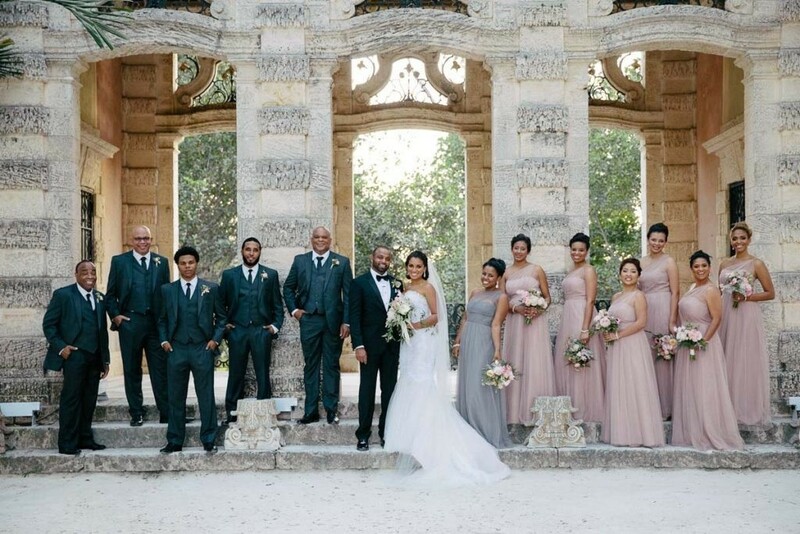 The possibilities are endless at this Miami wedding venue. 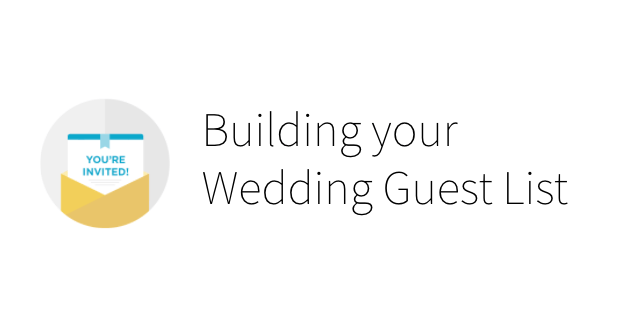 Click here if you want to review other venues. 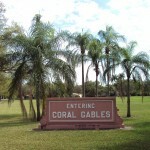 Located in the original sanctuary of the Church of the Little Flower from its founding in 1925, Comber Hall provides couples with a sense of connection to one of the oldest Catholic congregations in the Miami area. 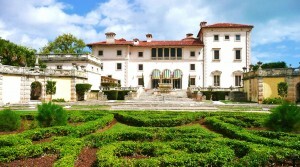 The breathtaking architecture and grounds give a sense of old-world Spanish charm. 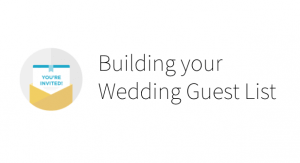 With the convenience of the church next door, along with its own catering and wedding venue amenities, Comber Hall streamlines wedding planning so that couples can relax and enjoy their day.